Pearland home on ALMOST 1 ACRE!! Cozy 3 bedroom home with large family room with french doors and cathedral ceiling! Breakfast room has bay window bench storage! Lots of storage space with walk-in closets. This Pearland Property has large patio cover that is perfect for entertaining. Take a look at this home TODAY! 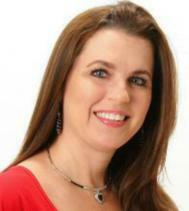 Call Maggie McFarland with RE/MAX One today!